This trip takes out at the BV Adventure Hub in South Main. Participants should be at least 6 years old and 50 pounds. This varies with water levels. Call 866-283-3563 for current conditions. 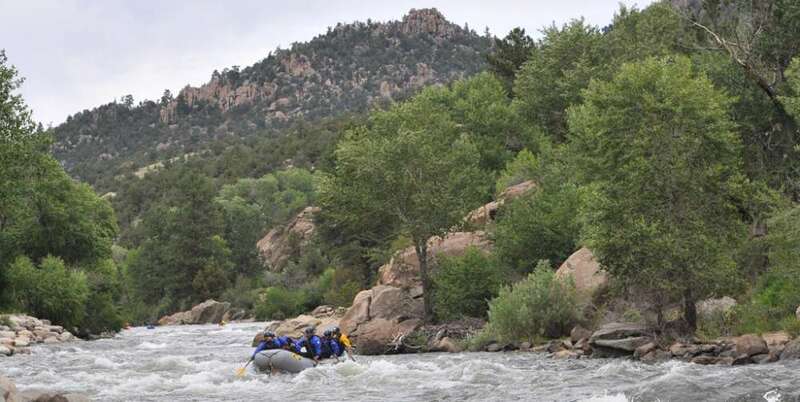 The Narrows section of the Arkansas River is a great option if you are looking for a splashy and scenic rafting trip in Buena Vista, Colorado. Enjoy continuous beginner whitewater and high mountain scenery. This trip is only offered as a half day tour. It ends at the BV Adventure Hub in South Main Buena Vista. Notable rapids include the Miracle Mile, Tunnel Falls, Frog Rock, House Rock and the Buena Vista Whitewater Park. Rafting tours through the Narrows are brought to you by River Runners at the BV Adventure Hub in South Main. This outpost is located right next to the Arkansas River in Buena Vista, Colorado and is a short drive to the put-in for the Numbers. When is the best time to raft the Narrows? The Narrows whitewater rafting trips. The Narrows has a shorter season than other beginner sections of the Arkansas River. 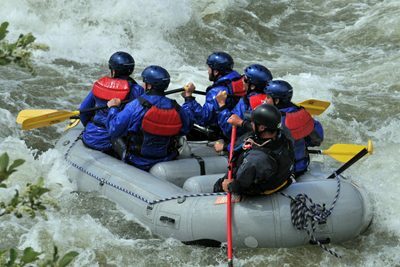 It does offer fund rafting mid-June through mid-August. If you plan to be here in spring or fall, then rafting Browns Canyon or Bighorn Sheep Canyon are better options. What to bring on your Narrows rafting tour? PFDs, helmets, paddles, wetsuits, splash tops, wet shoes, and first aid are included. You may also want to bring base layers (such as polypro or other quick-dry fabrics), sun glasses (straps sold at River Runners), sun block, water bottle, and board shorts.